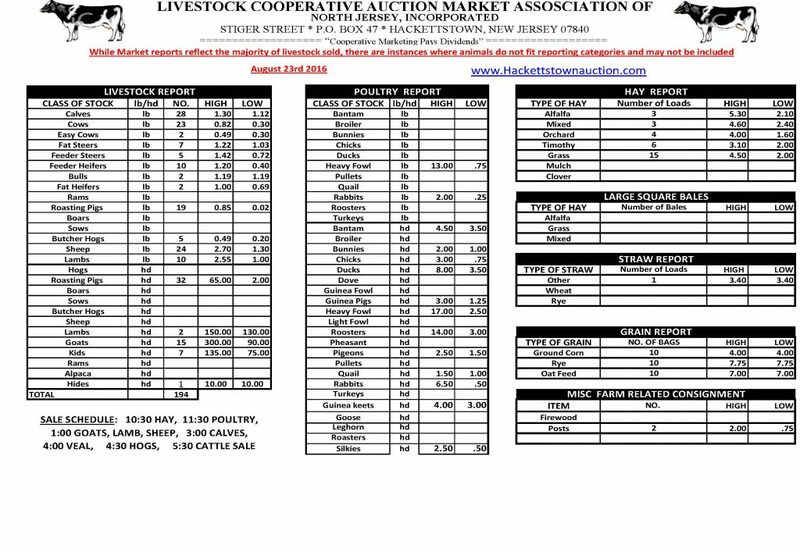 Below are the latest livestock auction updates from the Hackettstown Livestock Auction. The Livestock Auction has a sale every Tuesday. This auction sells lambs, sheep, goats, calves, beef cattle, pigs, rabbits, and all types of heavy fowl. The auction begins at 10:30 am and ends with the last sale at 5:30 pm. This auction serves central and northern New Jersey as well as bordering areas of New York and Pennsylvania. (Market Report 8-23-16).